With over 78.2 million dogs in American homes, these pets are an important part of our lives. 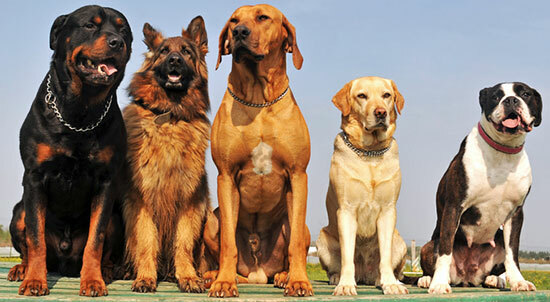 Generally, dogs are considered family members that provide companionship and happiness to their owners. However, sometimes dogs can become aggressive and bite, causing serious injury to you or your loved ones. If you've suffered an injury after a dog attack, call our experienced attorneys today. We'll work to recover money for your pain and suffering, medical bills, and lost time at work. We're available 24/7 at 1-866-943-3427 or by completing the form located above. Still have questions about your dog bite injury? Call our legal professionals for a free case review at 1-866-943-3427 or complete the form located in the top right corner. We'll examine your unique situation, answer your legal questions, and determine the best options for your case. It's easy, quick, and absolutely free, and there's no obligation to use our services. I'm attorney Edgar Snyder, and I love dogs. They're part of the family. Unfortunately, nearly five million people are bitten by dogs each year and many are children. Even the friendliest dogs can sometimes bite causing serious injuries and permanent scars. If you or someone you love were hurt by a dog, our law firm can help. Call us now to see if you are entitled to collect money for your injuries. For a free consultation call 1-800-9-4EDGAR. And remember there's never a fee unless we get money for you. Since 1982, our attorneys have collected over $1 billion dollars for our injured clients. We fight to protect your legal rights and recover the maximum amount of compensation for your injuries. We are committed to our clients, and we're ready to get to work for you. Don't hesitate to contact our legal professionals as soon as possible. There may be time limits to your injury claim. We're standing by 24 hours a day, 7 days a week to get started on your case. Contact us at 1-866-943-3427 or simply fill out the form in the top right corner of this page. Your consultation is absolutely free, and there's no obligation to use our services. When you hire Edgar Snyder & Associates, there's no charge unless we win your case. You won't have to pay us anything until we recover money for your dog bite injuries. There's nothing to lose, so contact us today.